We have been going gangbusters on house projects each & every weekend now that it’s a little warmer. I think I probably have enough projects on my list to take us through to Labor Day if we work on at least one each weekend. Yep – I’m picking up where we left off last summer & working on all the things we have planned out to get our home just how we want it. For those of you who are new here – we finished building our house last July & spent as much time as we could working on things before the cooler weather arrived. So now that we have had many months to dream & plan – it’s time to get busy & make things happen. 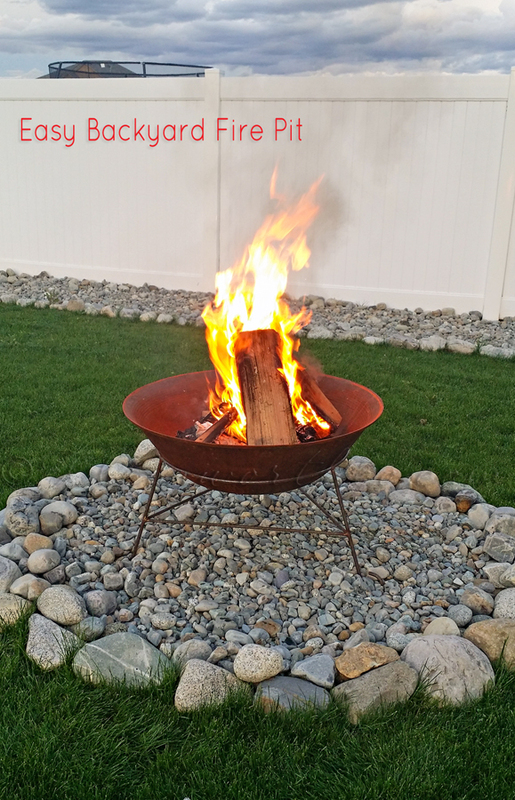 So last fall we created this Easy Backyard Fire Pit. But by the time we did it – it was really beyond the season for me to share it here. We have some really cool things we will be doing to enhance this feature in our yard this summer so I thought I better show you this part first before I get into all the new stuff. This is a portion of our yard as we were adding the rock around the border of the grass last season. 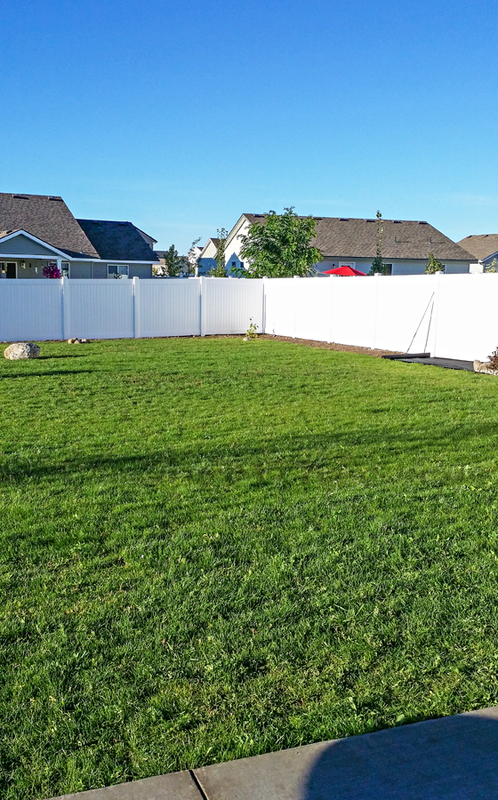 This yard is about 10k sf so we have a lot of space to work with here. 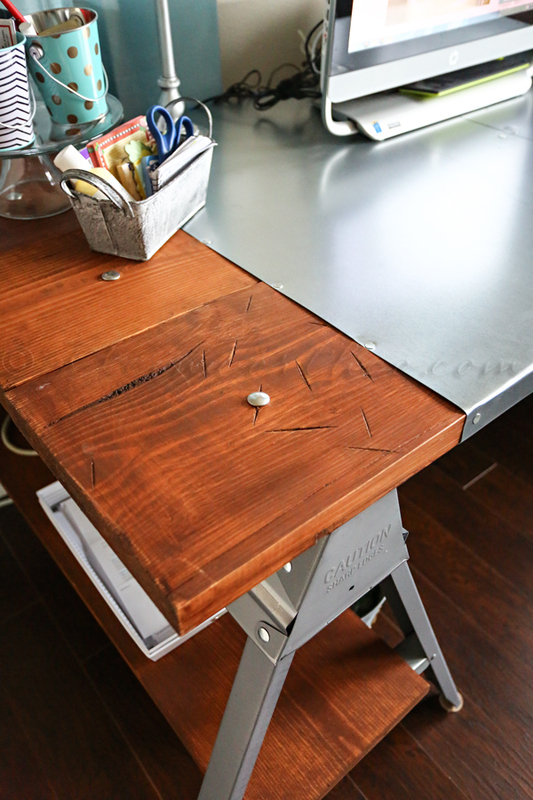 I wanted to keep it feeling as open as I can but maximize our space too. Now I see a lot of people taking a store bought fire pit & setting on their lawn. I also see them putting it on a wood deck. Please take my word – as a wife of a fire chief – PLEASE DON’T DO THIS! Don’t grill or really have any open flame on a wood deck. Anything you do with fire should be far away from your home or any other combustibles. 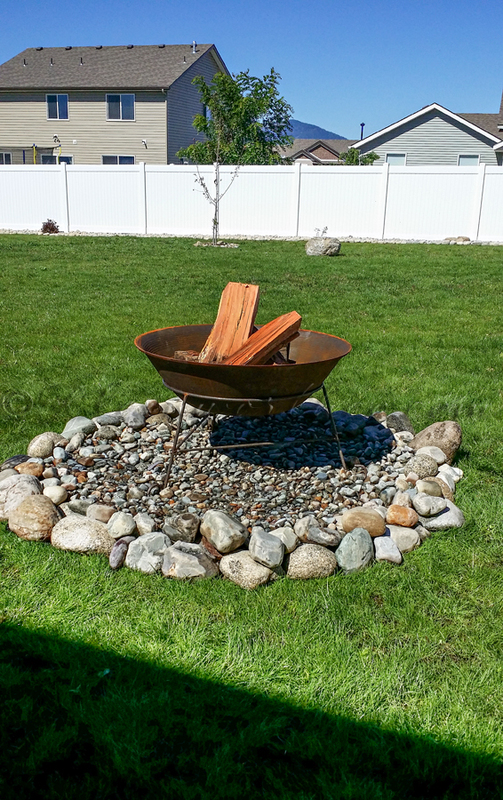 Many think that because the grass is cool & moist that it’s not a problem putting their fire pit over it. Well the radiant heat will dry out & kill your grass. At that point it’s dry & can catch fire especially from any floating embers. Did you know one single ember can travel in the wind up to 2 miles? Yep! That’s why it’s important to know your burning regulations prior to using your fire pit in the summer too. 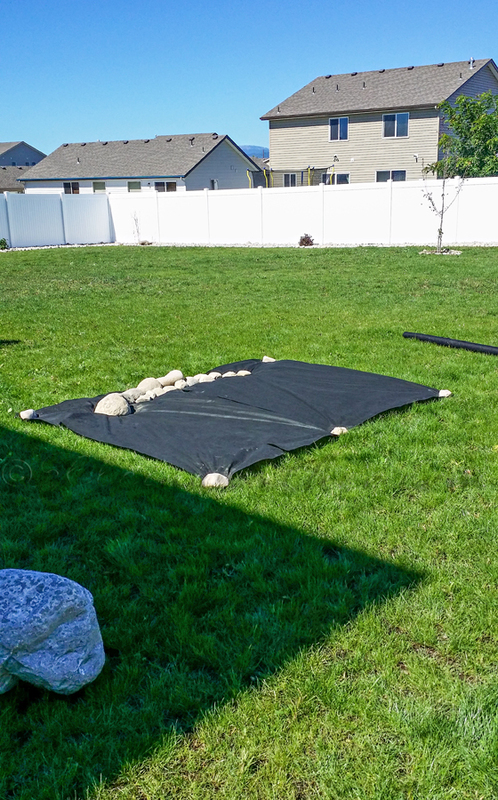 So anyhow – to make this we laid out our weed stop fabric over the area where we wanted our pit. Then we took our rocks & started making our circle 1.5 times the size of our fire pit. We used the larger rocks around the border & then used smaller ones to fill in the center. Make the small rocks at least 2-3 inches deep in the center. Trim the corners of the weed stop off to make your circle. We picked up our pit at the local store where we bought our rocks & nestled it in the center. for less than $100 on Amazon. That’s it! 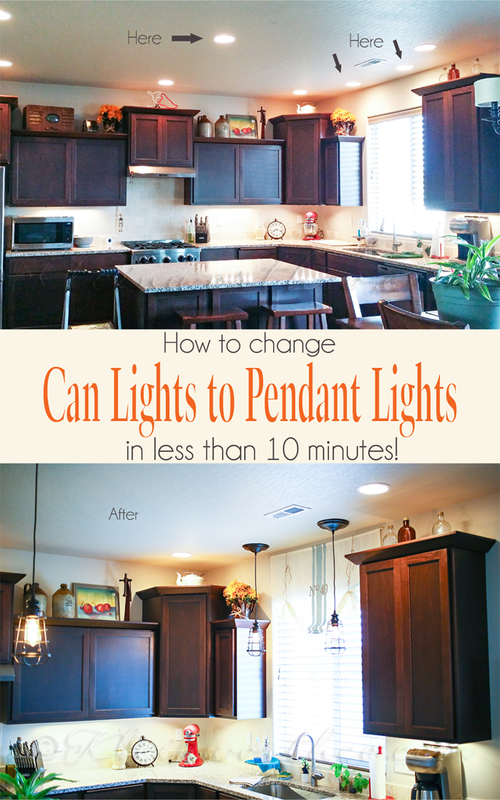 Simple – easy & took us less than 30 minutes! 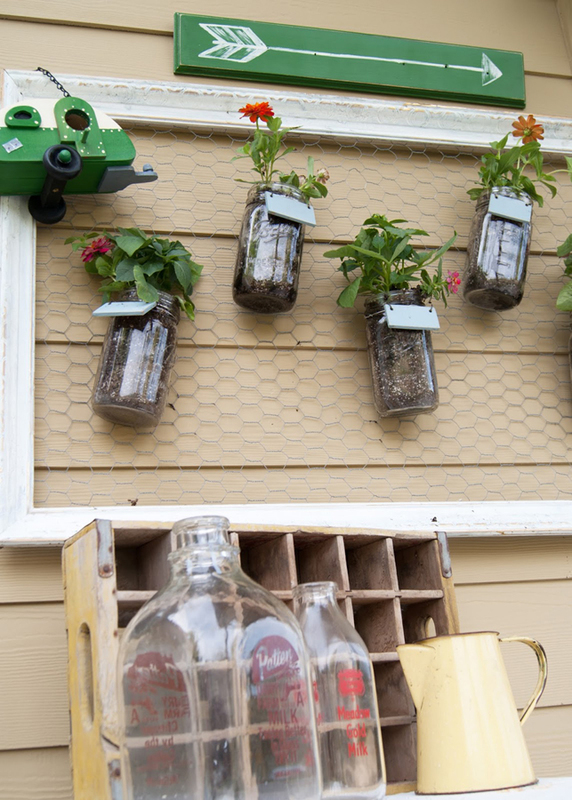 Looking for more easy home projects? I think this firepit is wonderful!!! Thanks for the tip about the fire hazard. I am buying a house that has an existing fire pit area, but since it is on the ground directly, I will change this. Keep up the wonderful work! Thank you Renea. Exciting that your new home has a pit already. I’m glad I could give you some tips to keep it & your new home safe. Have a great Sunday! I’m so ready for summer and fire pits! Our fire pit has been sitting right on top of the grass (and ruining it). I never would have thought of setting up a gravel catch-all. Love your idea and it looks great!! Thanks Amy – we used the extra rock from the other landscaping around our yard – but you can locate a rock distributor in your area. This particular stone would have been less than $20 for all this if I had purchased it just for this project. This is so simple & quick Dee – hope it inspires you! This is a very clever idea! Pinning it for someday! Thank you Kelly – I appreciate that. This looks like so easy and elegant. Thanks for linking up at #HomeMattersParty hope you will come back next week to link up again.